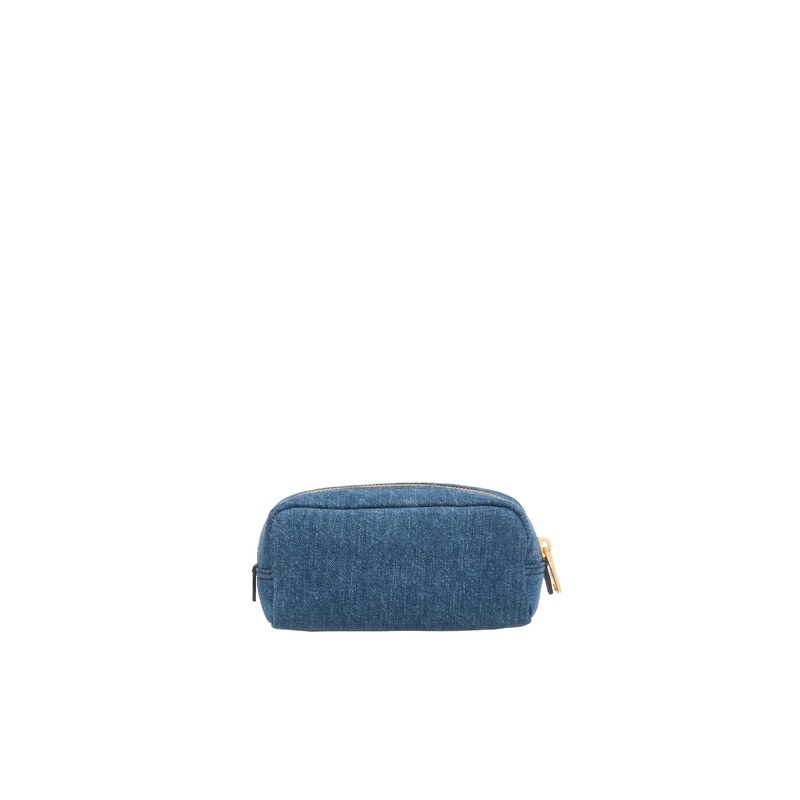 An elongated shape defines this cosmetic pouch. 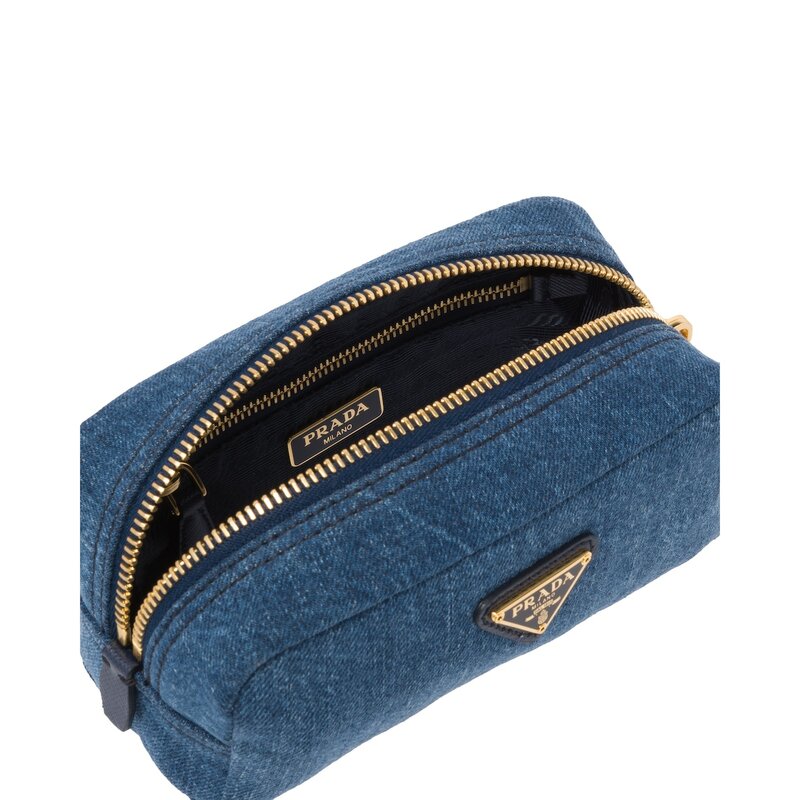 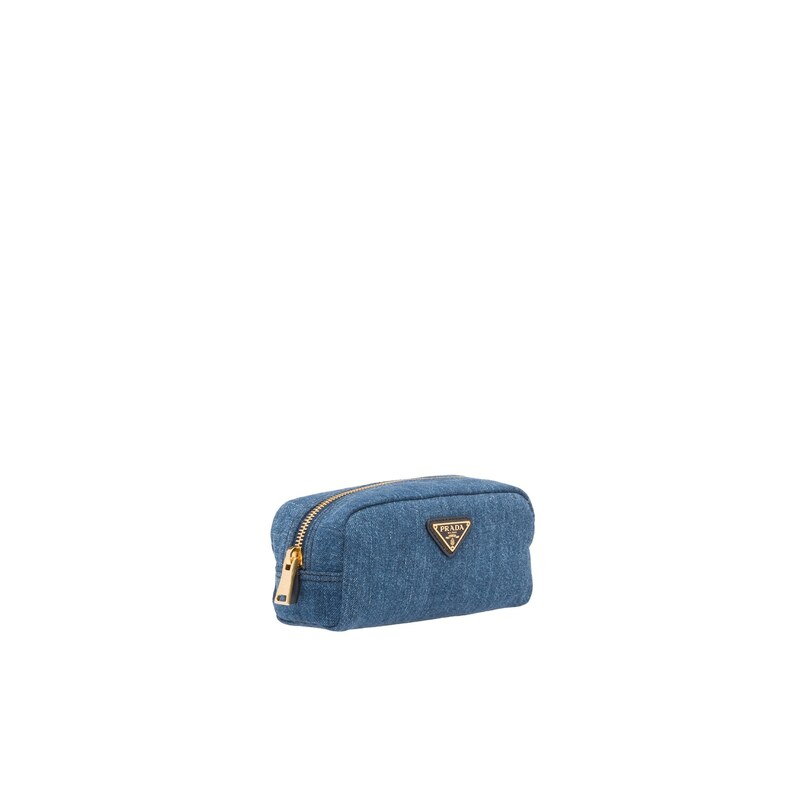 Crafted from denim, it is accented with gold tones at the logo and the zipper. 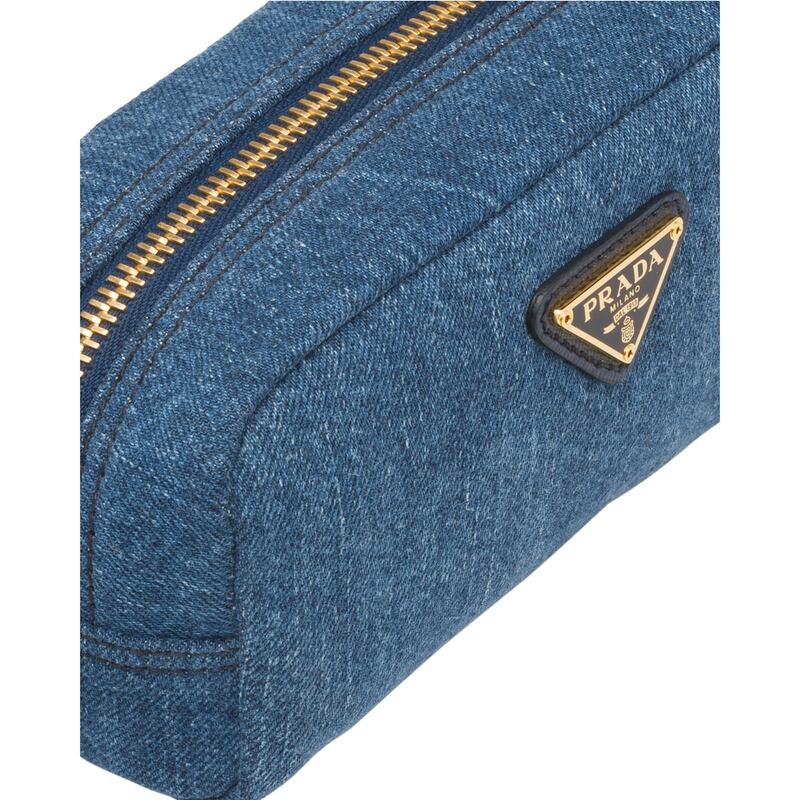 The inside offers one pocket enhanced with logo lining.